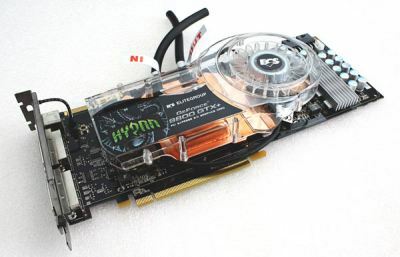 ECS GeForce 9800 GTX+ Hydra SLI is kit that contains two modified GeForce 9800GTX+ and a water-cooling kit. 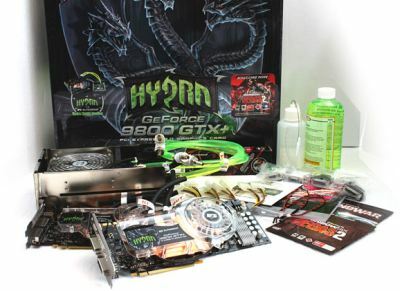 Guru3D got this kit and has published a 16-page review: ECS GeForce 9800 GTX+ Hydra SLI Review. I like the ease of use, easy installation and the cooling performance. 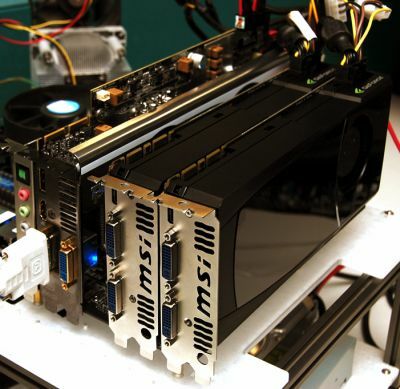 But the kit is really efficient, cools pretty fantastic and as a result, though you now have two cards rendering your games, you can even overclock with a very healthy safety margin. My favorite game at this very moment is Mass Effect. I play it at 2560×1600 with the image quality settings as defined in this review. With one GTX+ card still averages at 37 frames per second (which already is bloody nice for the money), however with that second GTX+ added I end up at an average FPS of 70. 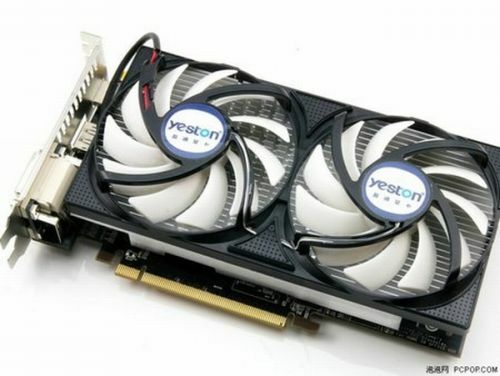 It is an excellent modern title that shows Multi-GPU gaming potential so well with. And that’s where you need to seek the true benefit, modern games.